We have a new Green Organic Pure 100% VG e-Liquid range. VSAVI! Like ECOpure and ECOvape VSAVI range is tested, pure and has the correct and compliant Good Manufacturing Practice in place. In addition the new range is also organic e-liquid! In replacing the popular ECOpure range we wanted to ensure our new range offered the highest standards. This ensures our customers are only offered safer clean e-Liquid options, now with even more flavour options. 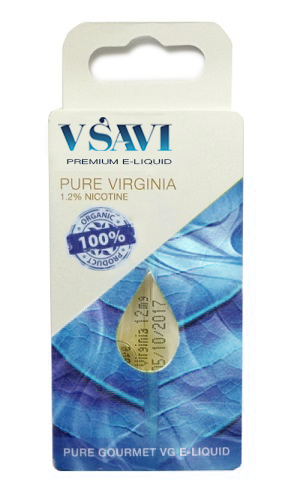 We are now delighted to offer VSAVI vaping e-Liquid; the cleanest 100% VG e-Liquid available in the UK. It is all about taste, testing, quality and purity.